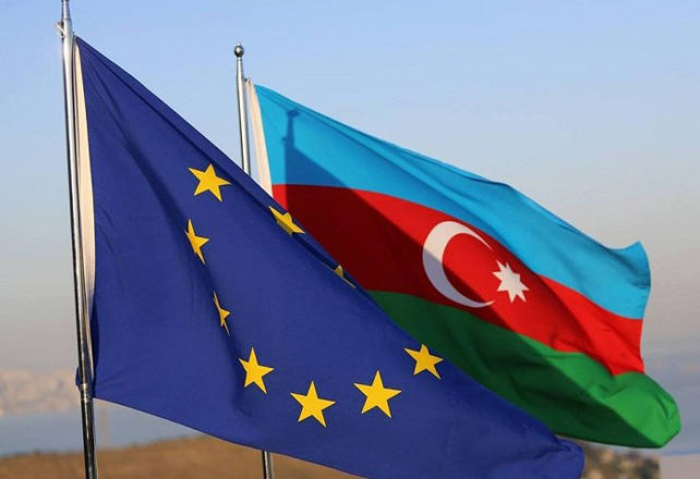 European Parliament reiterated the EU’s support for Azerbaijan’s territorial integrity and sovereignty within its internationally-recognized borders, AzVision.az reports on Dec. 14, referring to the statement of Sajjad Karim (ECR, UK), Chairman of European Parliament’s Delegation for Relations with the South Caucasus. According to him, the EU-Azerbaijan relations have been transformed in recent times, with cooperation between the European Parliament and the country’s national assembly – the Milli Majlis – resuming in 2015 and President of Azerbaijan Ilham Aliyev undertaking successful visits to European institutions. “When I look around Europe today, with the growing scourge of Antisemitism and Islamophobia plaguing our EU societies, I think we as Europeans can learn from the tolerance and openness that unites Azerbaijani citizens, with Christians, Muslims, Jews and Zoroastrians coexisting in harmony,” the MEP said. He added that the Nagorno-Karabakh conflict between Azerbaijan and Armenia unfortunately remains a sticking point. Karim noted that the status quo was unsustainable and that there is no military solution to the conflict, stressing in this regard that the EP reiterated the EU’s support for Azerbaijan’s territorial integrity and sovereignty within its internationally-recognized borders. On Dec. 12, 2018, the European Parliament by an overwhelming majority of votes (401 for, 173 against) adopted the resolution on the annual report on the Common Foreign and Security Policy, which reiterates “EU’s commitment to support its partners' sovereignty, independence and territorial integrity”.